Over three and a half decades, Ted Conover has ridden the rails with hoboes, crossed the border with Mexican immigrants, guarded prisoners in Sing Sing, and inspected meat for the USDA. His books and articles chronicling these experiences, including the award-winning Newjack: Guarding Sing Sing, have made him one of the premier practitioners of immersion reporting. In immersion reporting—a literary cousin to ethnography, travel writing, and memoir—the writer fully steps into a new world or culture, participating in its trials, rites, and rituals as a member of the group. The end results of these firsthand experiences are familiar to us from bestsellers such as Nickel and Dimed and Behind the Beautiful Forevers. But in a world of wary strangers, where does one begin? Conover distills decades of knowledge into an accessible resource aimed at writers of all levels. He covers how to “get into” a community, how to conduct oneself once inside, and how to shape and structure the stories that emerge. Conover is also forthright about the ethics and consequences of immersion reporting, preparing writers for the surprises that often surface when their piece becomes public. Throughout, Conover shares anecdotes from his own experiences as well as from other well-known writers in this genre, including Alex Kotlowitz, Anne Fadiman, and Sebastian Junger. 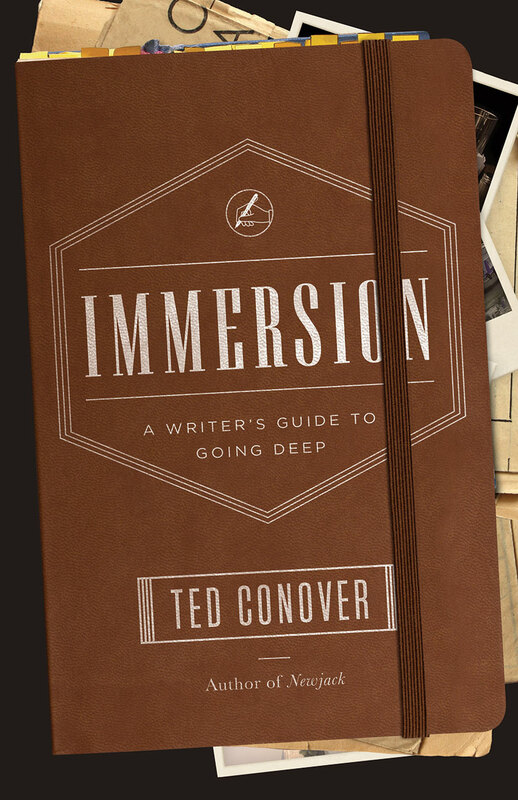 It’s a deep-in-the-trenches book that all aspiring immersion writers should have in hand as they take that first leap into another world. "The recommended guidebook for aspiring non-fiction writers."